The Pizza Files: Pizza Files 2010 Summer Binge, Stop Eleven. It was Friday, I had family visiting and they were determined to take me out for supper. Who am I to turn down free supper. I told them they were paying so they could decide where to go, knowing it was the 2010 Binge they wanted to get pizza and started to name a few places, all places I had been recently. I said "Whaoo, there are some rules if we eat pizza" I would only do pizza if it was some place new to me or if I hadn't eaten there in the past year. That narrows down the options quite a bit. Then finally I knew where to go. 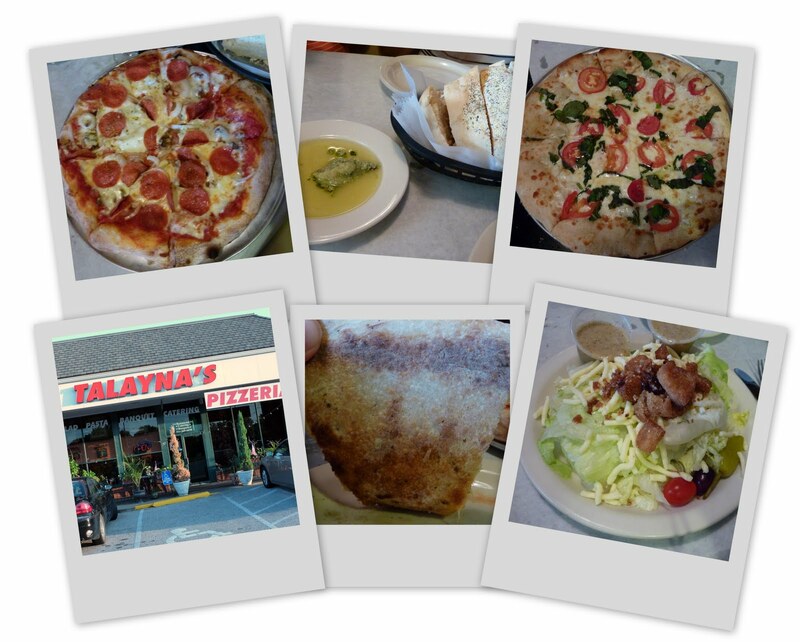 That's how Talayna's Italian Restaurant (68 Four Season Center, Chesterfield, MO) became stop eleven on the 2010 Binge. Shortly after being seated we had a loaf of warm bread and a dish of olive oil with cheese and herbs sitting on the table. It was very good and difficult to put down. We ordered a House salad with the House dressing, easily enough for two. We ordered two pizza's. The first a Margarita on hand tossed crust, it had Tomato, Olive Oil, Mozzarella Cheese and fresh basil. The second was a hand tossed crust with pepperoni, hamburger and onions. Both pizza's were great, but between the bread and the salad all three of us pizza eaters filled up pretty fast. 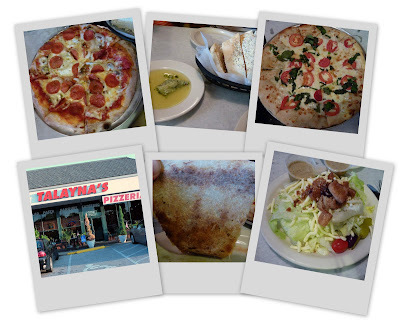 The left over pizza was good a couple of days later, but not as good as some so if you visit Talayna's take it easy on the bread or order a smaller pizza so you don't have any left overs. Great pizza and some place new, plus I have exceeded my goal for the 2010 Binge.